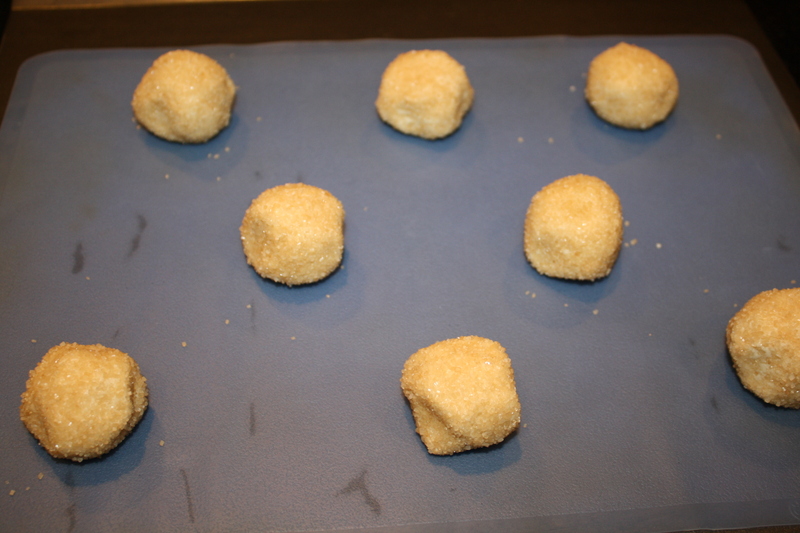 Form dough into walnut sized balls (I used a small cookie scoop) and roll in raw sugar. Place on prepared pan. Bake for 4 minutes. 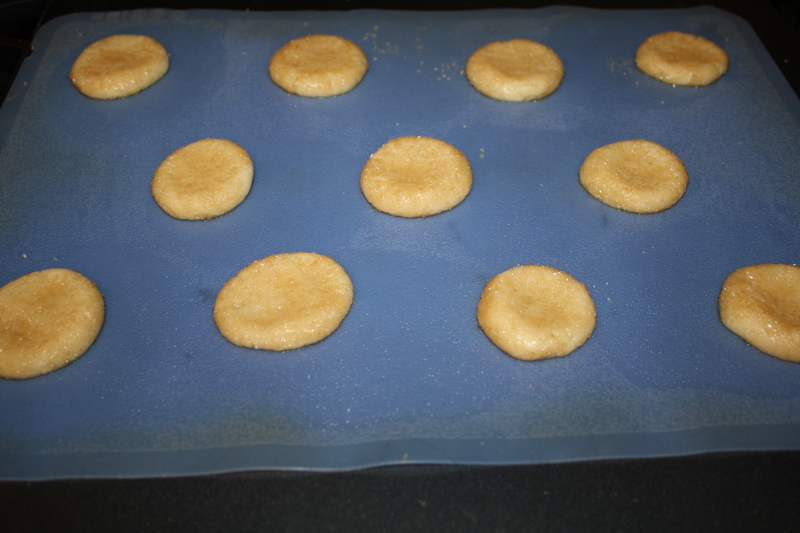 Open oven and quickly press each cookie to desired thickness with back of spoon. Bake for additional 4 minutes (8 minutes total). 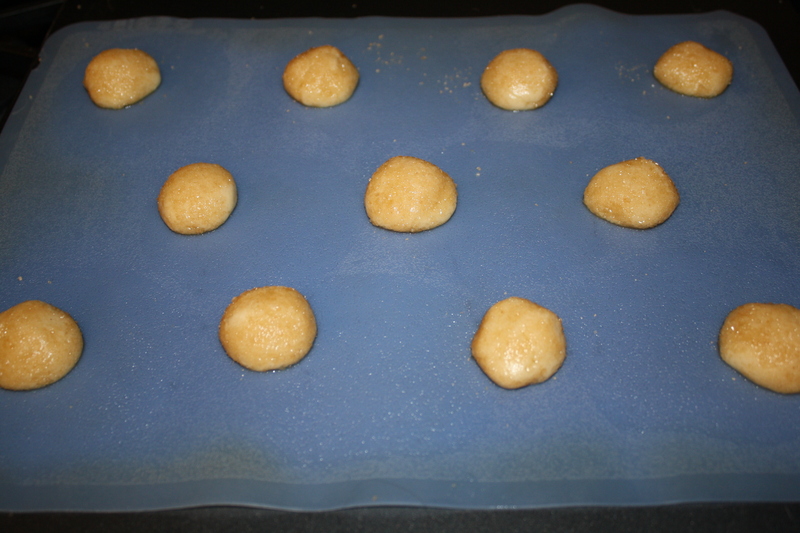 ~You’ll need to flatten the cookies mid-bake, because the cornstarch will keep them from doing so otherwise. If you don’t they will literally bake in the walnut sized ball shape. ~DO NOT bake longer than 8 minutes!! 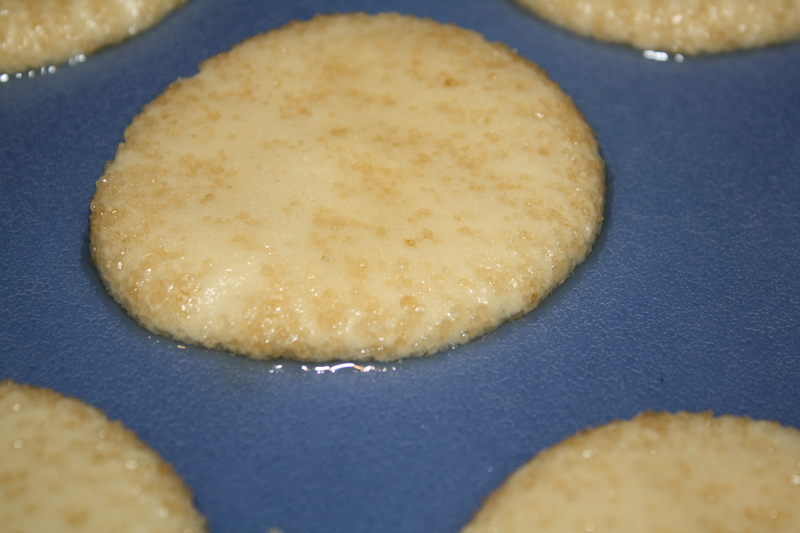 They may seem under-baked, but when they cool they will firm up. 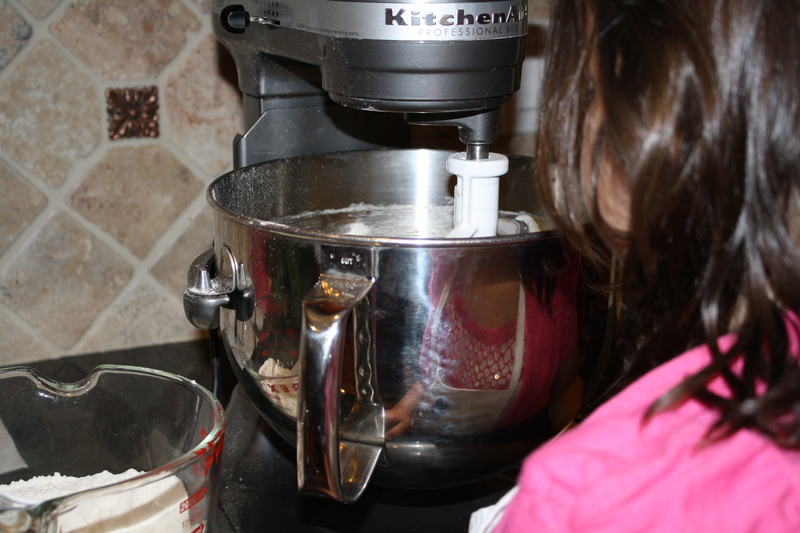 I also had a helper in the kitchen today, and it was lovely having someone to add the ingredients and run the mixer. 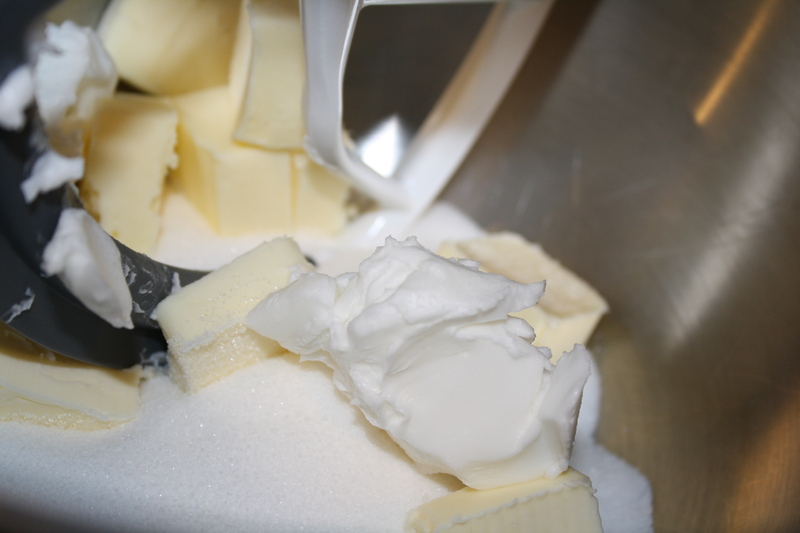 First we put the butter, sugar, and shortening into the bowl and mixed until they were smoothly combined. Then we added the eggs and almond abstract. 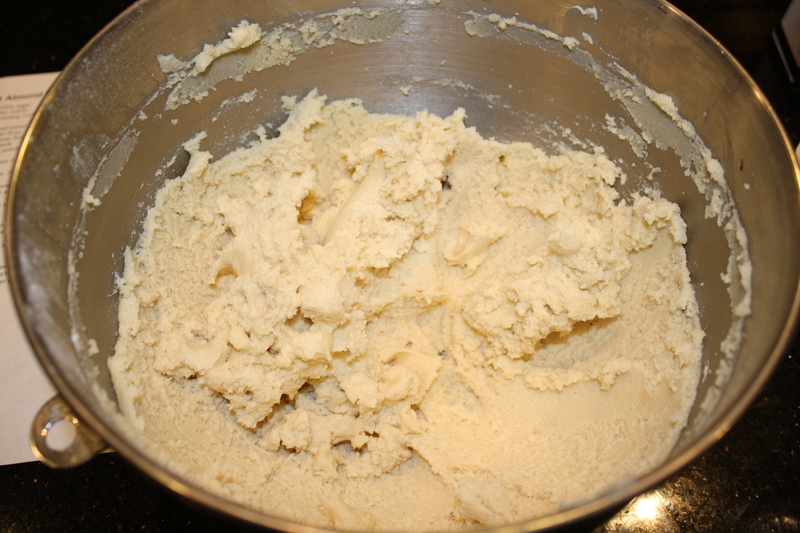 In a separate bowl, I combined the flour, cornstarch, baking powder and salt, whisking them together to get rid of any lumps. Then we added the dry ingredients to the sugar mixture a little at a time until it was all combined. 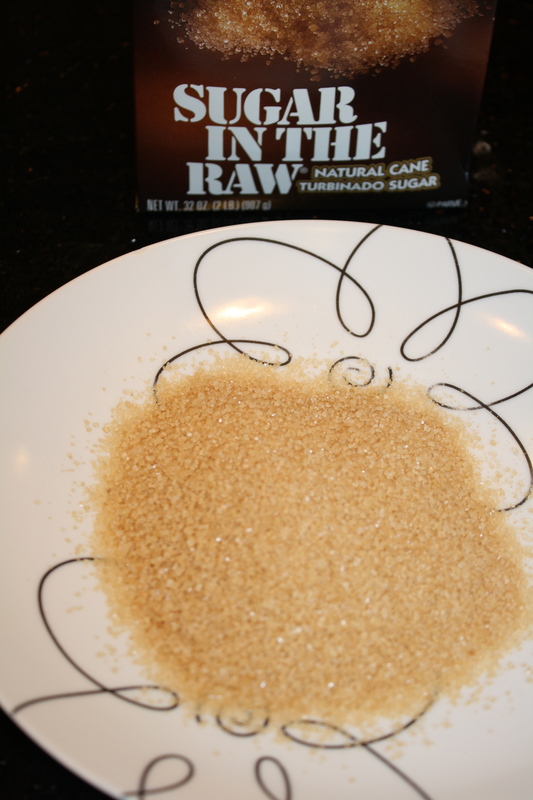 Next I poured about half a cup of Sugar in the Raw out on a plate. 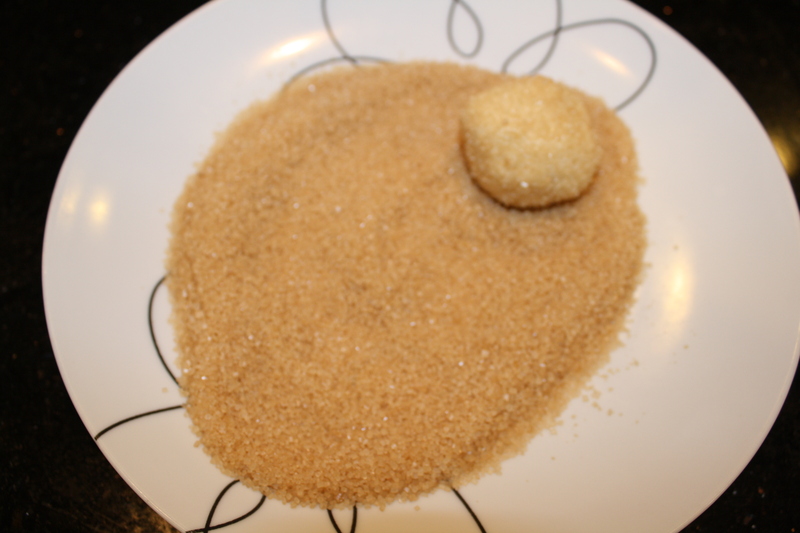 I used a tablespoon to scoop out the dough and then rolled it into balls which were then rolled in the sugar. …and then flattened them out with a spoon and cooked for four more minutes. The original recipe cautions against baking longer than 8 minutes, but when I pulled them out, the cookies really didn’t seem to be thoroughly cooked. 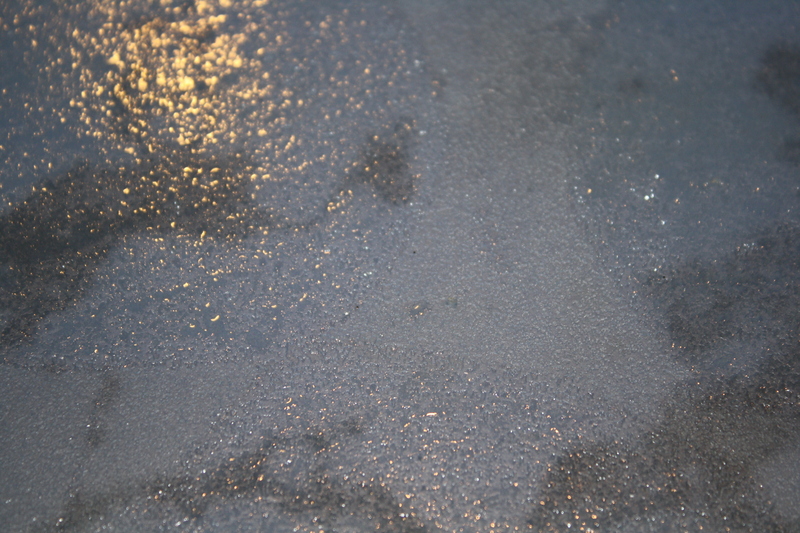 Not only were they extremely soft, but they were kind of oily. 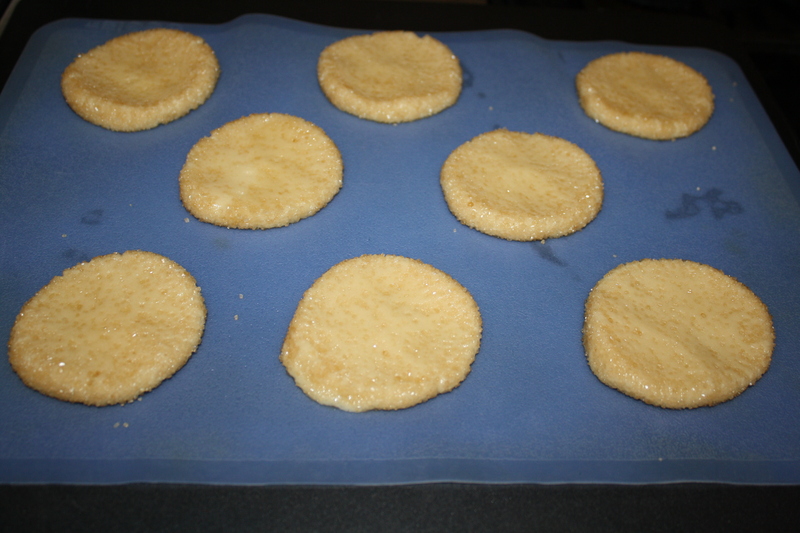 They were so soft, that even after five minutes, I couldn’t put them on the cooling rack for fear that they would fall apart and fall right through, so I put a piece of parchment on the cooling rack. The second set, I baked a little bit longer (about 2 minutes) and they turned out a little better, but there was still a bit of oily residue on the baking sheet. 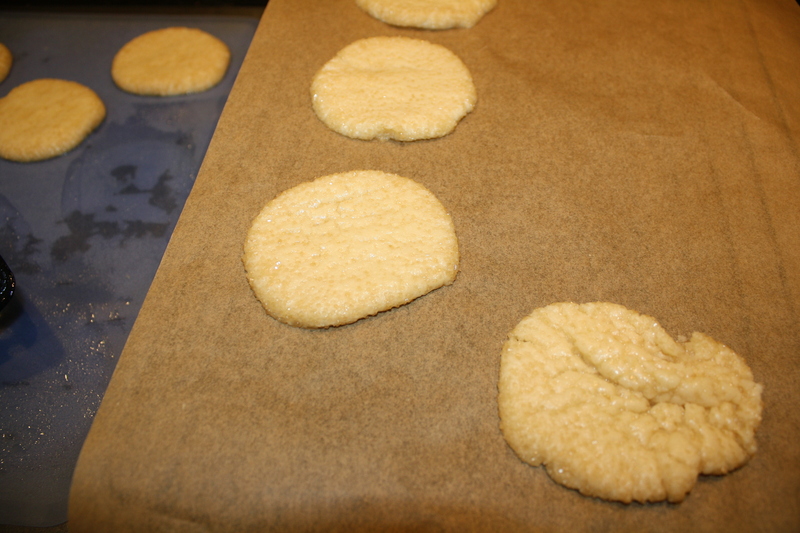 So then, I decided to try making the cookies a bit smaller. 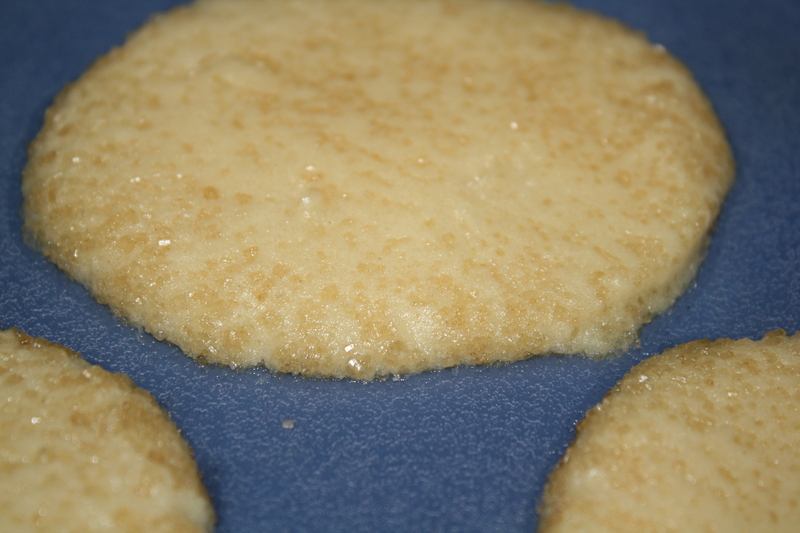 This time, I used 1/2 tablespoon of dough per cookie, and that worked perfectly. 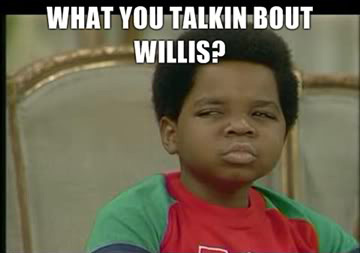 They still baked for 9 minutes instead of eight (four, then flatten, then five) though. 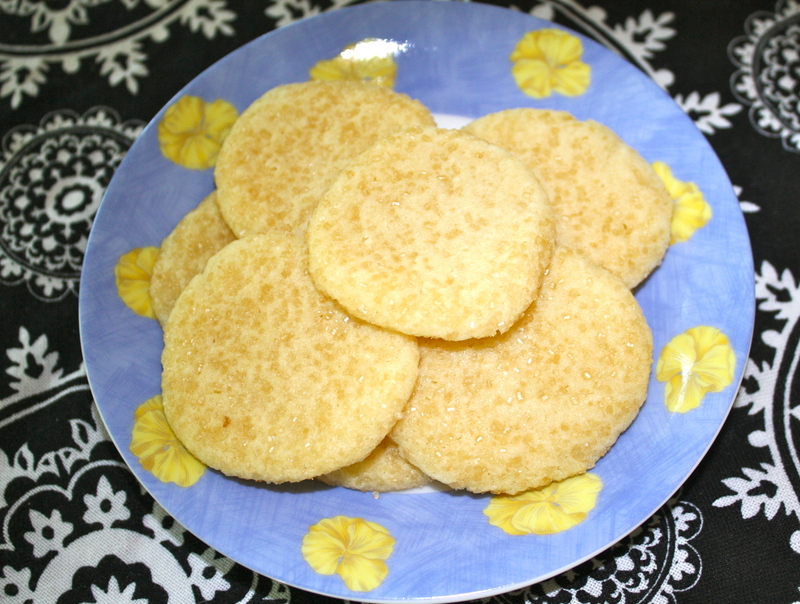 Very yummy cookies, sweet, with a delicate twinge of almond, and soft, though with a sugary crunch from the Sugar in the Raw. 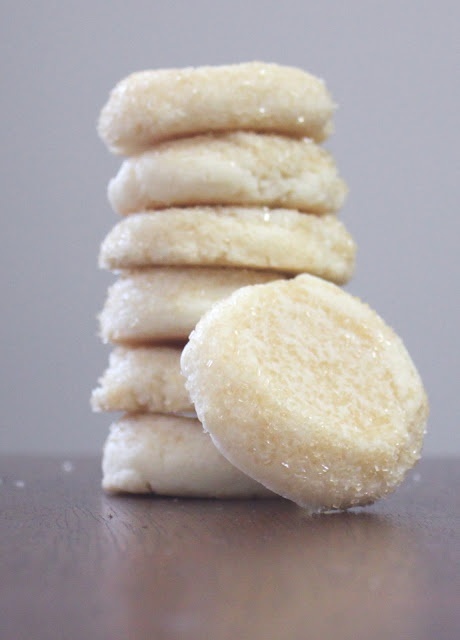 It might be interesting to add actual almonds to the cookie, perhaps ground finely, as well.